Q8-DEWANIYA: Caribou Coffee: SHEIKH special drink. 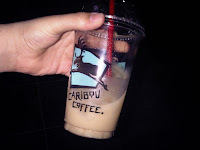 Caribou Coffee: SHEIKH special drink. 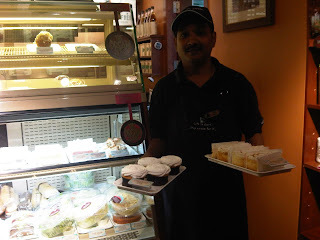 Yesterday I went to Caribou Coffee in the Free Trade Zone and I met the manager SHEIKH. He something very special by adding his special drink to the menu. I tried the drink and it was one of a kind. I can't describe how good it was, it was like when you first drink it you taste the vanilla and the next you taste the great coffee taste that's mixed with it ! all i can say that this drink is one of the top 10 cold drinks in Kuwait. Sheikh's special drink is available in all caribou coffee branches in Kuwait, Thank you SHEIKH.